The Book of Mormon purports to be an inspired and accurate translation of an ancient historical narrative covering more than a thousand years. Its validity as scripture depends on its being historically authentic. If the events it records did not happen, and if it is actually modern rather than ancient in origin, then the Book of Mormon cannot be the word of God. Throughout the LDS Church’s history, Mormons have mounted arguments for the historicity of the Book of Mormon and sought to answer objections to its authenticity. The field of Book of Mormon scholarship that has developed in that time is now far too complex (and LDS scholars far too prolific) to allow for a thorough review and assessment here. Instead, a few key figures and issues will be briefly described with only cursory critical responses. One of the earliest apologetic defenses of the Book of Mormon was Orson Pratt’s Divine Authenticity of the Book of Mormon (1850). According to Pratt, “If, after a rigid examination, it be found an imposition, it should be extensively published to the world as such; the evidences and arguments on which the imposture was detected, should be clearly and logically stated.”1 Pratt argued at length for the validity and need of additional revelations beyond the Bible, appealed to and defended the testimonies of the witnesses to the gold plates (and to the angel), and argued that the Book of Mormon was consistent with and even prophesied in the Bible. He also argued that miracles of healing among the Mormons confirmed the truth of the Book of Mormon. Most of Pratt’s arguments, other than his appeal to modern Mormon healings, are still staples of Book of Mormon apologetics. Book of Mormon scholarship and apologetics today derives primarily from the work of three BYU scholars: Hugh Nibley, John Sorenson, and John Welch. 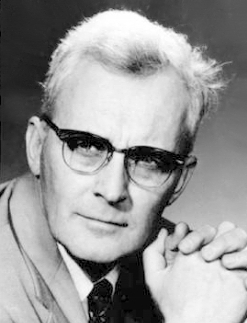 Hugh W. Nibley (1910–2005) taught at BYU from 1946 until 1994 and produced an astonishing body of scholarship, mostly in defense of the Book of Mormon, the Book of Abraham, and LDS theology. Contemporary Book of Mormon apologetics really began with two lengthy series of articles from 1950 to 1952 by Nibley on the Book of Mormon, published in 1952 as the book Lehi in the Desert and the World of the Jaredites. Nibley’s method was essentially a comparative approach, ransacking ancient literature far and wide for parallels to the Book of Mormon. John L. Sorenson (1924– ) founded the department of anthropology at BYU and later taught as professor of anthropology there from 1971 to 1985. The year he retired, Sorenson published An Ancient American Setting for the Book of Mormon, which argued for a “limited geography” theory that the Book of Mormon lands were restricted to ancient Mesoamerica, in what is now Guatemala and southern Mexico. That model, which Sorenson continued to augment in retirement, now dominates LDS academic scholarship and popular apologetics, although a minority of Mormons vigorously contend for other theories as to the location of the Book of Mormon lands. The most significant of these alternative views is the “heartland” model, which regards much of North America, especially the eastern and central regions of the United States, as the Book of Mormon lands. While Sorenson has made a more impressive case for his model from statements within the Book of Mormon, the heartland model fits far more easily with Joseph Smith’s own statements of relevance. As noted earlier, Sorenson’s model also entails that Moroni walked carrying the gold plates some three thousand miles outside the area in which all of the other events in the Book of Mormon supposedly took place in order to bury them near Joseph Smith’s boyhood home, even though Joseph never examined the plates when dictating his translation. John W. Welch (1946– ), born the same year that Nibley began teaching at BYU, in 1969 published an article arguing that the Book of Mormon contains significant instances of chiasm or chiasmus (a literary feature in which a text forms a pattern like A-B-B-A or A-B-C-B-A). Welch argues that chiasmus was common in ancient Hebrew literature but was unknown to Joseph Smith, so that its presence in the Book of Mormon is suggestive of its authenticity. Several questions of relevance to this claim have been debated: whether Joseph could not have known about this literary device, whether he might have used it without even realizing it, and the extent to which it can be found in his non-translated writings (such as his revelations in Doctrine & Covenants). More fundamentally, the apparent chiasms in the Book of Mormon are the result of the extreme repetitiveness of the text and the selective use of parallel elements by which chiasms are artificially imposed on the text.3 In 1980 Welch, an attorney by training, became professor of law at BYU, where he remains at the time of this writing. A year earlier Welch had founded the Foundation for Ancient Research and Mormon Studies (FARMS), which later became subsumed as part of the Neal A. Maxwell Institute for Religious Scholarship and until 2012 was the leading Mormon apologetics think-tank. At that time the institute was reorganized and some of its former leading lights launched a new periodical, Interpreter: A Journal of Mormon Scripture. Mormon apologetics, like practically everything else, entered a new phase with the advent of the World Wide Web. In late 1997 a new LDS apologetics organization, the Foundation for Apologetic Information and Research (FAIR), was established for the purpose of defending Mormonism online. This organization, later renamed FairMormon, is now at the forefront of LDS apologetics through its website and annual conference. Much of its work consists of taking the academic work of BYU scholars and presenting it in accessible form for non-scholars. A large part of what FairMormon does focuses on defending the historical authenticity of the Book of Mormon. A major focus of the Institute for Religious Research, an evangelical Christian organization, has been the development of a sound Christian response to Mormon defenses of the Book of Mormon. Such a sound response must rest on an accurate understanding of the issues and a careful consideration of Mormon apologetics. This series of articles is intended to make a modest contribution toward that end. 1. Orson Pratt, Divine Authenticity of the Book of Mormon (Liverpool: R. James, 1850), in The Essential Orson Pratt, Foreword by David J. Whittaker (Salt Lake City: Signature Books, 1991), 147. 2. For a thorough review of these issues, see Robert M. Bowman Jr., “Book of Mormon and DNA Studies: A Closer Look at the Book of Mormon,” and “Book of Mormon and DNA Studies: A Closer Look at the Science” (Cedar Springs, MI: Institute for Religious Research, 2016). 3. See the articles by this author on alleged examples of chiasmus and a bibliography of relevant studies at “Chiasmus in the Book of Mormon?” (Cedar Springs, MI: Institute for Religious Research, 2016).